Is Ranbir Kapoor the next Superstar? Ever since Amitabh Bachchan was conferred the title of a superstar, all of us from simple viewers and fans like me to the media and the movie industry have been waiting for a successor to this prestigious Bollywood title. Every some years we have young actors showing a lot of potential but falling short somewhere. I still remember when Shahrukh Khan made his debut in Baazigar he played the same angry young man’s role which had catapulted Amitabh to a profound fame and glory unmatched to this day. Although Shahrukh’s retribution tactics was a bit more on the gray side than that of Amitabh’s character Vijay, Shahrukh’s screen presence and his charisma with women (or should I say the would-be mothers-in-law) were awesome. But somehow it was nowhere near Vijay’s devotion to his mother, his style of avenging injustice a la Robin Hood style and his romance with women played by timeless beauties like Parveen Babi, Zeenat Aman and the evergreen Rekha. Well, no wonder Shahrukh Khan stopped doing the roles of an angry young man and became a romantic hero more like Rajesh Khanna and created a separate niche for himself as the “Baadshah” of Bollywood. Befitting, indeed! Another contender for Amitabh’s much coveted title was Hrithik Roshan. I fell flat for him in Kaho Naa Pyaar Hai, loved his raw emotions in Fizaa and was smitten by him in Lakshya. But something happened after that. He just decided to go the Sallu way, shirtless, bearing his 6-pack and showcasing his dancing skills more than his acting talent. Guess what, Shahid Kapoor stole his thunder as a dancer and the 6-packs are so common these days, even cuties like Aamir’s got one. My husband’s bet was and still is on Abhishek Bachchan. He is very likeable, simple and fun, a true chip of the old block. But how serious is Abhishek? He comes across as an ambition-less lad lost in his father’s glory and now basking in the splendor of his wife. I know I am harsh but he has great potential and I hate to see it go waste. Just think about it, he does a great movie like Guru and then he makes five awful movies in which he is so silly that if I had a “delete” button, I would just keep hitting it. 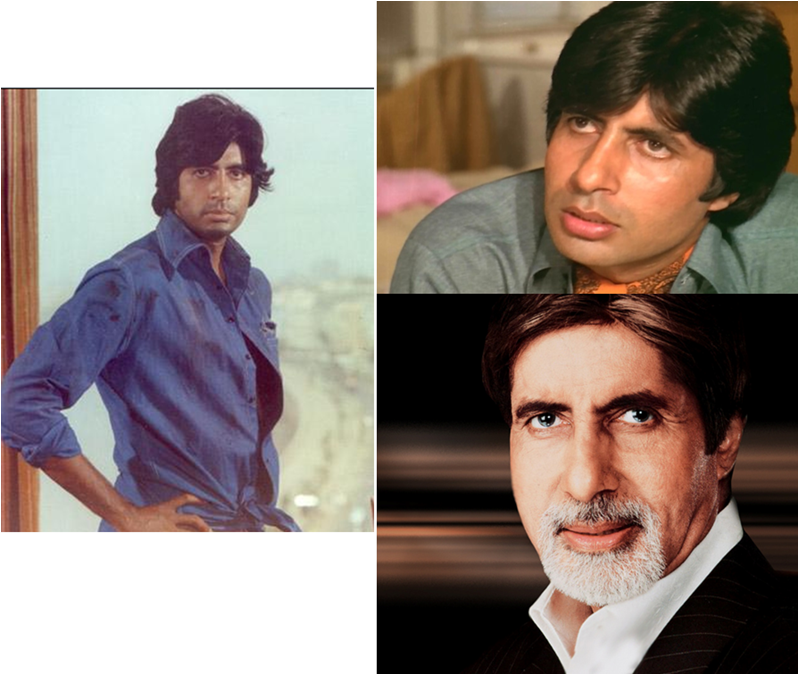 Amitabh started his career in 1970 with Saat Hindustani and bagged the best newcomer National Award. He then went onto win 14 Filmfare awards in various categories, 2 more National Awards, Padma Bhushan and Padma Shree. Still counting! However, an unfortunate accident in the sets of Coolie led to a decade of flops for Amitabh but his image remained untarnished. Then came Agneepath in 1991! Bam! It resurrected his image. But he was not really young and went through another decade of flops and a lot of personal struggles. Best part about his career is that his fans never deserted him. With Mohabbatein in 2000, he totally re-invented himself and started playing the roles of a father and what a cool dad he became! There is no looking back since then. He played some very different and challenging roles in movies like Aks, Black, Sarkar, Paa, Rann etc giving him more awards, fanfare and fame. So, is it really possible for another human being to achieve this kind of success? But the title needs a successor. In fact, I was surprised when I heard this title being used randomly in the recent Filmfare Awards on everyone from Shahid Kapoor to Neil Nitin Mukesh who have not even achieved a quarter of what Amitabh has done. It looks like people in the industry have given up. But I am still searching for the next superstar. After a long time, I am feeling very hopeful because of Ranbir Kapoor. A product of phenomenal genetic lineage (Neetu Singh, Rishi Kapoor and the entire Kapoor clan) and a perfect physical make up. He is gorgeous, period. And, he can also act. Phew! 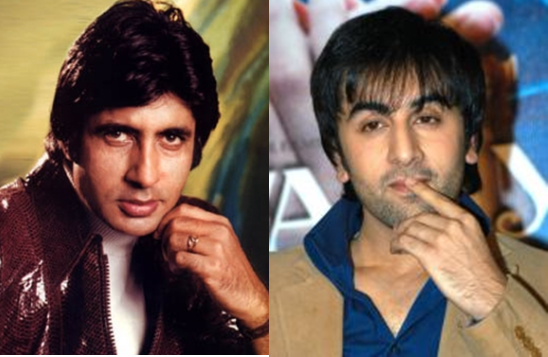 A similarity with Amitabh is undeniable. Both are extremely tall and are not necessarily out and out handsome. Both are lanky with long nose and strange eyes but have some kind of a charisma to attract fans in big numbers and appeal to the young and the old. I know it’s too early to predict but hey, if anyone can get away wearing a pink turban and yet considered macho, it’s Ranbir. In just 2 years or so, he has established himself as a great performer. But Ranbir better make up his mind on whether he just wants to be good-looking hunk dropping towels to expose his derriere or he wants to really become a superstar. His latest Rajneeti may have gotten him accolades but I was pretty disappointed. He just came across as too serious. If this was supposed to be a role of Michael Corleone, Abhishek Bachchan played it very well in Sarker. So, my friends, the field is wide open as it always has been but I will always remain hopeful even though I am a big fan of Amitabh.